GENEVA (May 2014) – At its fifty-second session in May 2014, the United Nations Committee Against Torture (CAT) adopted its Concluding Observations on the Initial Report of Thailand under the United Nations Convention against Torture and Other Cruel, Inhuman or Degrading Treatment or Punishment (“Convention Against Torture”). The Committee raised concerns over the lengthy and in some cases indefinite detention of asylum and seekers in immigration detention centers in Thailand. 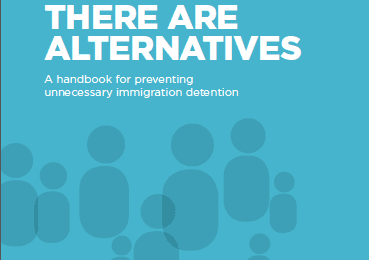 It also commented on the lack of independent and systematic review of detention decisions and the restrictive use of alternatives to detention for asylum seekers. The Committee has urged Thailand to end indefinite detention for asylum seekers and migrants. It has also urged Thailand to guarantee detainees access to independent, qualified and free legal advice and representation. 21. 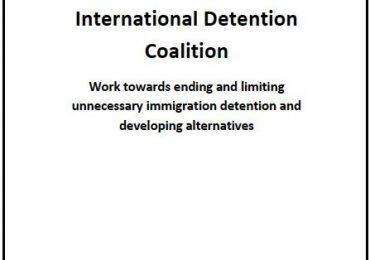 The Committee is concerned at the use of lengthy and, in some cases, indefinite detention in immigration detention centres for asylum seekers and migrants who enter the State party undocumented, as well as at the lack of an independent and systematic review of such detention decisions and the restrictive use of alternatives to detention for asylum seekers (arts. 3, 11 and 16). The State party should review its detention policy with regard to asylum seekers and give priority to alternatives to detention. The State party should end indefinite detention for asylum seekers and migrants and guarantee them access to independent, qualified and free legal advice and representation, in order to ensure that persons in need of international protection are duly recognized and refoulement is prevented.